I’ve had a few friends deliver at Einstein, but I hadn’t stepped in the doors quite yet. That changed when Jennifer contacted me about my portfolio building Hello World Session. She was scheduled to deliver her sweet little boy on a Monday in July. He had other plans, just like the rest of my summer babies have had so far! He decided he was coming a day early. But no worries, all went smoothly with his delivery and I still kept our Monday date for our session. 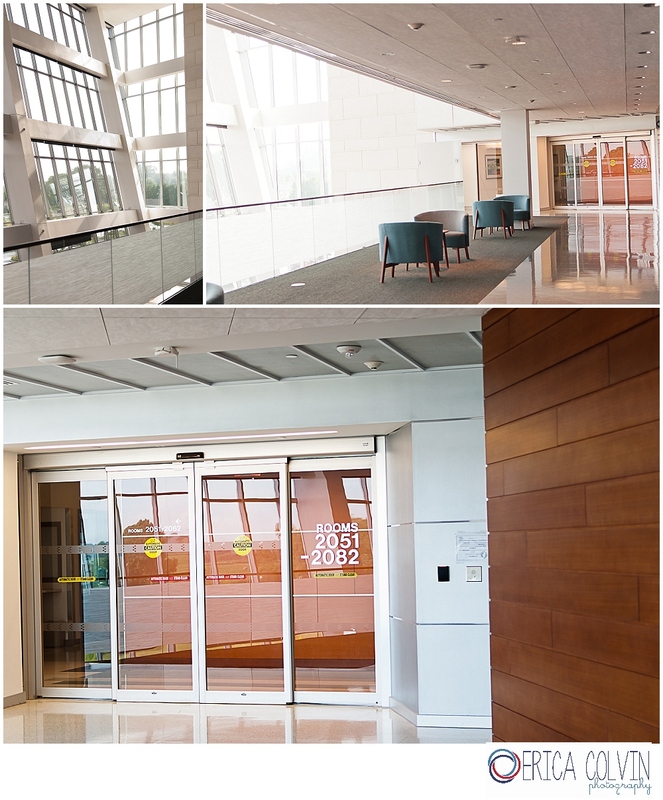 I pulled up to the hospital and the gorgeous front of the building which overlooks a large park and was super excited to step inside. I arrived and was quickly sadden by the lack of filled rooms! Get working on filling up those rooms!! Like the other hello world hospital session I had done right as I was arriving it was beginning to storm and be overcast. Happily I still was able to complete the session without using my flash, and sunshine soon arrived to the room in the form of an older brother. He was so proud and I can tell he’s already a big help to Mom. The “real sun” came out as well by the end of my session and the light in the room was quite beautiful. I hope all is well now that you’re settled in at home! Good luck to big brother as he starts preschool this fall! If you are expecting and would like to schedule a Hello World Session with me, please contact me today. 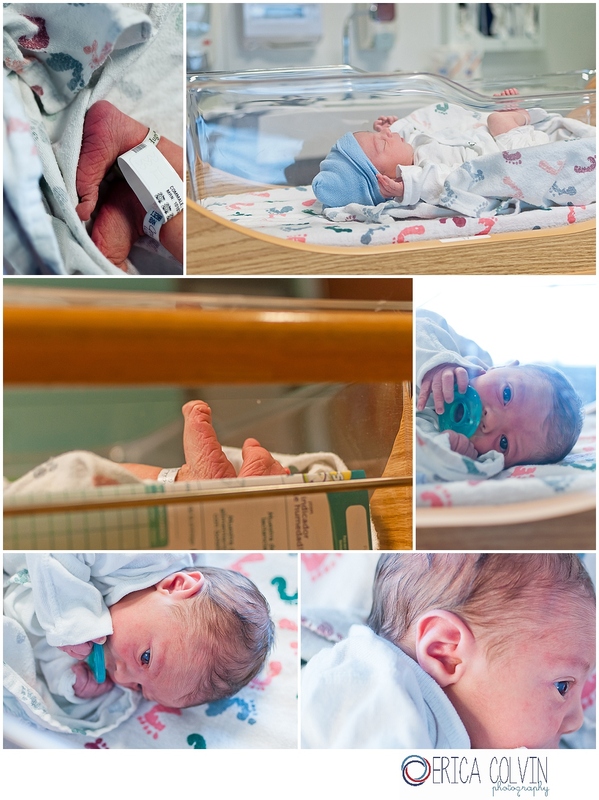 These can take place the first 48 hours after birth where the birth took place. It’s a great way to capture those first sweet surreal emotions. It’s that time of year already!?! Say what? At least on the photography end of things, it is time to start thinking about sending out those holiday cards! But it’s only July you say!? Think back to your holiday cards of past, I know my last few years my pictures were taken in October, in September, and one year even March! (the year we settled on our house). So it’s not too soon to think about booking a fall family session. Okay okay, I confess….the year Drew was born our pictures were taken December 30th… but come on he was a Christmas baby! I couldn’t pass up that card opportunity! This year I’ve teamed up with two designers. The fantastic Laura of By Invitation Only and my other designer, Kim. 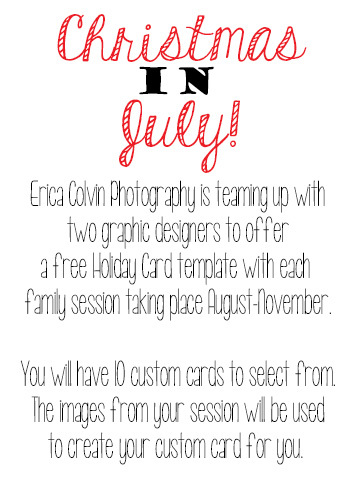 We’ll have ten templates custom designed for Erica Colvin Photography, and when you book a family session to take place this August through November one of these custom templates will be yours! Want to win a Holiday Card template? Visit my facebook page to enter my rafflecopter giveaway for your chance to win a spot at my stylized mini sessions (taking place in Montgomery and York/Adams County) or a $75 GC towards ECP if you cannot make the minisession dates. Giveaway ends August 1st! So stop by today! Cost: $100 if session takes place August or September, $150 for sessions taking place in October or November. Also keep your eyes peeled for the dates of two stylized mini sessions that will take place this fall! Book your session today to reserve the time and date that works best for you! I’m only accepting 3 family sessions a month this fall, these dates will fill up quick!